Blog love, to be specific. 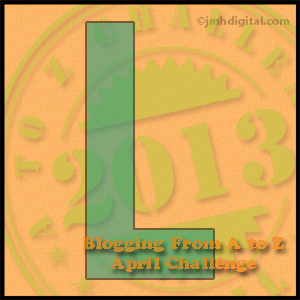 After all, isn’t that kind of the point of the A to Z Challenge? I mean sure, part of it is to push yourself to write a lot of posts, but mainly the idea is to visit a lot of blogs, and show them some love. Shannon Lawrence has covering Histories Mysteries. L. Diane Wolfe has been sharing a lot of great Promotional Tips for Writers. Joe Lunievicz has been writing about swordfighting. Laura Eno has been writing about cats! Who doesn’t love cats? Andrew Leon has been posting about How to Be … any number of things.